Andrew once told me that the Fourth of July is his favorite holiday. In celebration of Independence Day in the United States, our monthly wine pick lineup for July is all American, featuring red, white and blue, plus sparkling (fireworks!) and rosé (because why not)! This lineup very purposefully aims for diversity across America's many excellent wine regions, highlighting some interesting options in what American winemaking has to offer. We hope you'll seek these out (or others like them) wherever you are in the world this month. Cheers! Further reading: Happy Fourth of July, the holiday for all Americans. Now go thank a TSA employee! Independence Day makes me think of country music and barbecue, so what better state for our first stop then Texas! Fun fact about how we discovered Becker Vineyards - my high school calculus teacher's family owns it (#throwback #taboracademy #shoutout). I am still sad that I wasn't able to go when I went to Texas, but that makes me trust Andrew's unbiased opinion all the more. Why we chose it: Somehow we were unsurprised by the presence of Tempranillo in our lineup from Becker Vineyards in the Texas Hill Country near Austin. We suspect this area produces a few similar climatic patterns as some of the world's great Tempranillo regions. Hot days, cool nights -- Toro, Spain -- anyone? We were told that 2013 was a bit of a dry year, which rings true from the very concentrated and robust red fruit notes we found in its vintage bottle. It's fruit-forward, yet also smokey, with a bit of spice reminiscent of a good Cabernet Franc wine. This was our favorite bottle in the lineup (surprise, surprise). What to look for: Tempranillo is not a widely planted grape in the United States, but we're always eager to try a bottle when we find one. Unlike mainstay varietals such as Cabernet Sauvignon and Chardonnay, American winegrowers don't tend to plant Tempranillo in places they shouldn't (i.e. places where the climate doesn't lend itself well to producing something great), so we generally have some confidence that a Tempranillo grown here has been made with deliberate care. See what you can find! We're writing today's post from Provincetown, Massachusetts, our favorite place in America. Blindfold makes me think of Provincetown, where we drink it every August on our anniversary at the Red Inn. We come to Provincetown every year for July 4th, so I wanted to share this with you guys. Why we chose it: Blindfold is one of our perennial favorites, drank on our anniversary after having kept it in a wooden box given to us by Kathleen. From the same folks who bring you creepily-labeled "The Prisoner" red wine each fall, Blindfold pours from a bottle featuring an equally creepy label. But it's so delicious! The nose manages to be woody, grassy, and floral (a really odd trio), with some added buttered popcorn notes. It's extremely creamy and oaky, slightly grassy in the finish. The creaminess of the wine made this a beautiful pairing with the sharpness of the Manchego Cheese we drank it with, accompanied by Pan Catalana, of course. This white blend is interesting in that its component grape varietals are sourced from various vineyards in California, so we can't ascribe a single appellation (geographic source) to it. What to look for: There is no substitute, but we've seen Blindfold in shops all over the country. Happy hunting! Okay so obviously we don't condone drinking wine that is actually blue, but we DO condone drinking wine from Blue Valley Vineyard and Winery in Virginia, one of the original thirteen colonies. When you go to the beautiful rolling countryside of Virginia where Blue Valley is located, it's hard not to be thankful as you're only steps away from where our forefathers fought so hard for our independence. Why we chose it: We visited Blue Valley Vineyard and Winery in the most beautiful and productive heart of Virginia's wine country in early March, though have waited to share with you until summer was in full swing because we think it excels as a winery fit for a celebration, a day drinking wine in the countryside with a group of friends or family. It should never surprise you to pick out a Virginia-grown Viognier as one of your favorites in a lineup, for the state does these so well. Blue Valley's estate (estate means that the wine was grown and produced there at the winery, rather than sourced from other vineyards' grapes). This edition is filled with notes of strawberry, peach, and banana, punctuated by qualities reminiscent of fresh fruit and vanilla ice cream. What to look for: Virginia makes some of the world's best Viognier, in our estimation. We've been particularly enamored of the offerings from Delaplane Cellars (very near Blue Valley) and Potomac Point. Independence day is incomplete without fireworks and sparklers, so we had to bring you something sparkling! From another one of the original thirteen colonies, we bring you Westport Rivers "Farmer's Fizz", an easy drinking summer wine for any kind of backyard, beach, or boating occasion. Had I not been wronged by traffic throughout the entire states of New York and Connecticut while driving north on Saturday, I would have stopped in to see Liz at Westport Rivers and picked up some Farmers Fizz to drink tomorrow during one of my favorite annual events - watching the Provincetown fireworks show, followed by watching the Crown and Anchor light up like a flag while everyone sings "Firework" by Katy Perry as soon as the show is over. I love this town! Why we chose it: These ultra-accessible and easy-to-drink sparklers will make your summer, though they're sadly only available to be shipped from their Westport Rivers Vineyard and Winery to locations in Massachusetts. 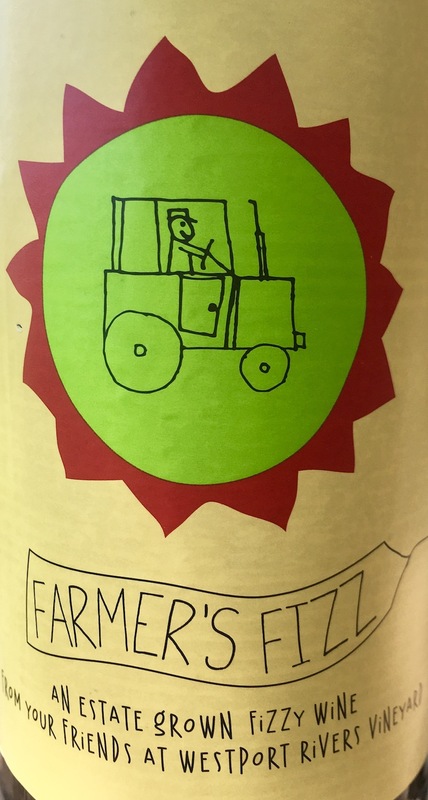 Ever unassuming, the Prosecco-style Farmer's Fizz is served up in a beer bottle with a delightfully playful label. The Chardonnay-based white is reminiscent of cotton candy in the mouthfeel, and is definitely more wine-like than the somewhat yeasty beer qualities we found in the batch several years ago. What to look for: Winemakers can do some nice, fun, casual stuff with sparklers that aren't trying too hard to seem too highfalutin. Westport Rivers makes some excellent high end sparkling wine, but in Farmer's Fizz they've purposefully produced the ultimate sparkling wine for drinking outdoors in summertime. Look for something similarly casual at your local wine shop, and don't be afraid to ask! ...then beeline straight to the nearest front porch. As I said at the beginning, nothing makes me think of July 4th like barbecue, and nothing goes with barbecue like rosé. So even if you can't get your hands on this one, I highly encourage everyone in America to find their favorite bottle of rosé tomorrow and enjoy your holiday! Happy Independence Day, everyone! 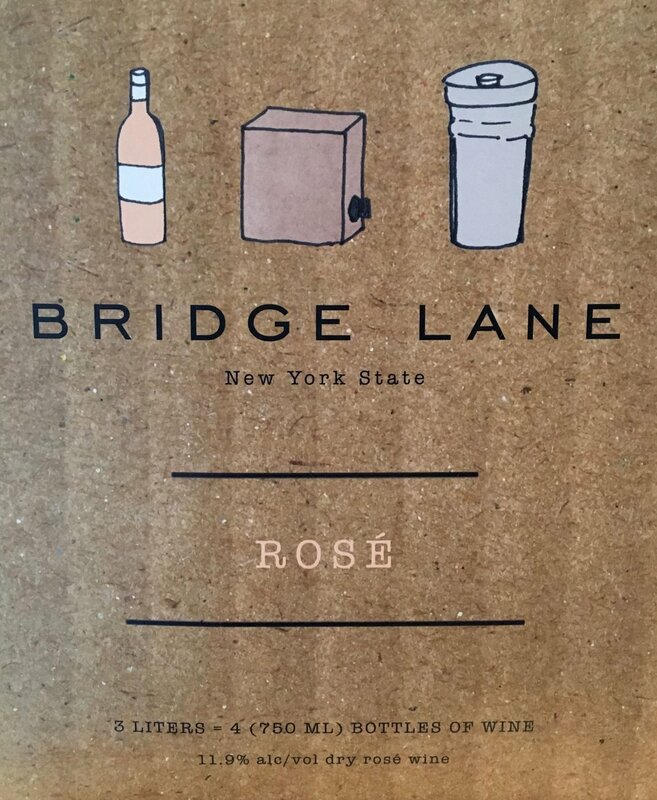 What to look for: New Yorkers have easy access to a really nice lineup of fit-for-summertime rosé wine out on Long Island. We've had several recently that surprised and pleased us. If you're not NYC-local, though, we recommend you seize the moment to explore legitimate rosés that are available to you. Note, we're not talking about White Zinfandel. A true rosé is a wine made with great care from red grapes, giving you a touch of what you like about red wine, but cooling it down for warm weather consumption. We particularly love rosé made from Grenache / Garnacha, Pinot Noir, and Cabernet Franc grapes. Incidentally, you'll enjoy these all the way to Thanksgiving, and will enjoy them any time of year with pork for dinner. Which wines are you loving this month?